The use of a 2-class gas lift for carrying the load of up to 150 kg, while the ergonomic construction provides an appropriate distribution of the gamer’s weight, making the chair perfectly adjusted to both shorter and taller gamers. Every gamer needs a suitable throne in their kingdom, i.e. a gaming chair. Thanks to properly selected foam used as a backrest and seat filling as well as finishing with stylish eco-leather, Fury AvengerM will provide maximum comfort even during a very long gameplay. 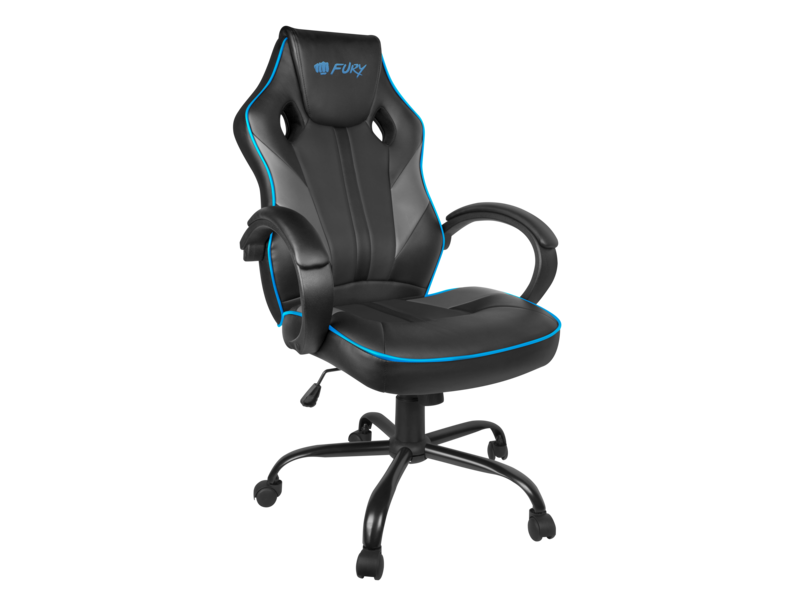 The chair’s armrests are covered with a thick layer of foam and lined with eco-leather in order to provide the gamer’s hands with comfortable support. Thanks to nylon wheels, the whole structure allows efficient movement of the chair without exposing the substrate to scratching. 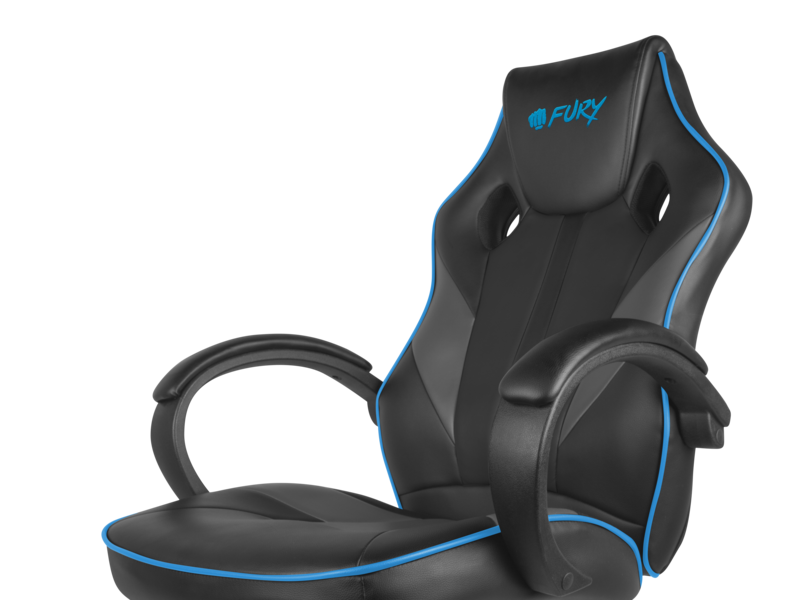 The gamer’s throne must be able to adjust to their individual preferences, which is why Fury Avenger M is equipped with a 7-cm seat height adjustment range. Now, the gamer may decide for themselves how high they will sit, selecting the chair’s height in the range between 43 and 50 cm. 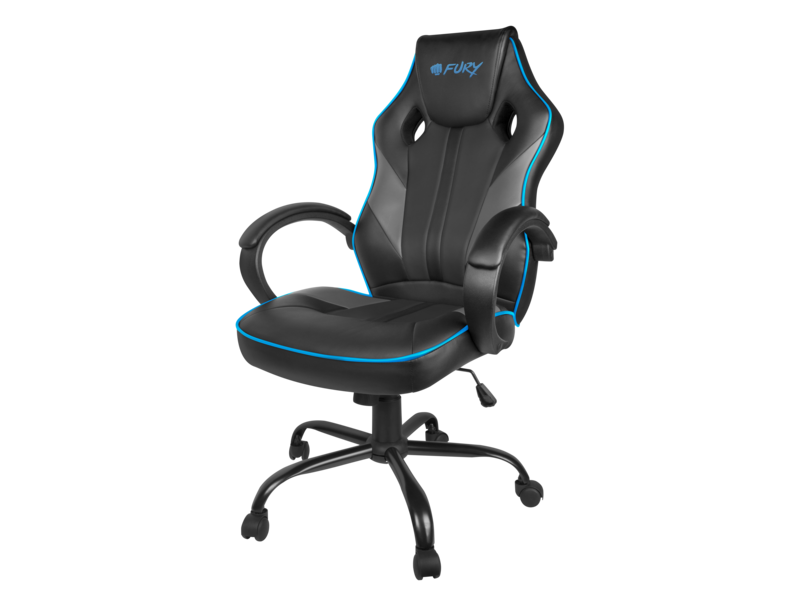 Additionally, the chair enables to use the rocking mode when there is a need for more dynamic action or a simple change of the gamer’s stiff body position. 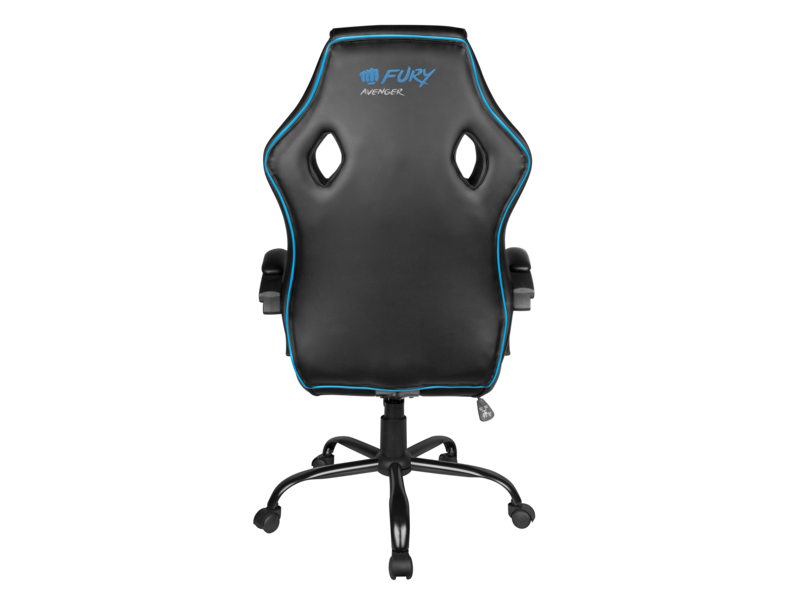 The headrest has an embroidered Fury brand logo, contributing to an interesting effect which will surely appeal to all blue fist equipment enthusiasts. This moment when you decide on your ultimate victory alone or save your friends from oppression. Every moment you turn out to be Avengerem is worth remembering. Fury will be even more!